It’s that time of year again! 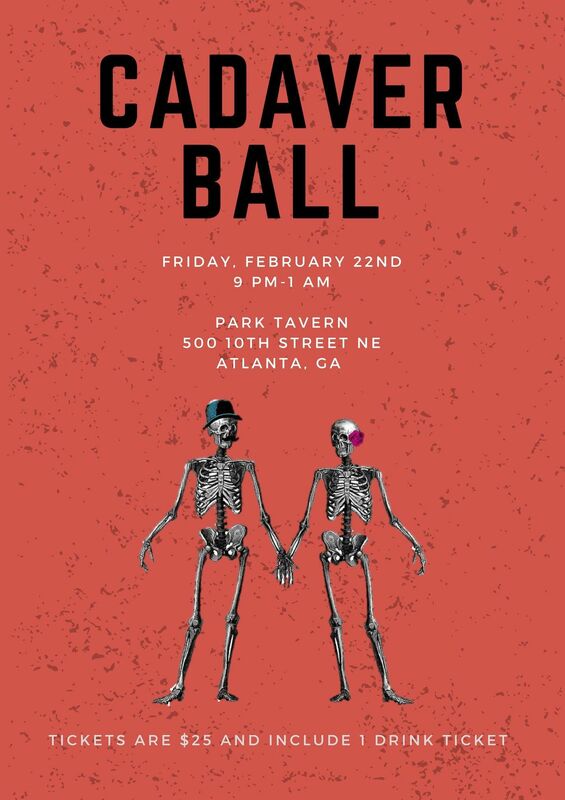 The Class of 2021 Social Chairs would like to formally invite you to Cadaver Ball 2019. 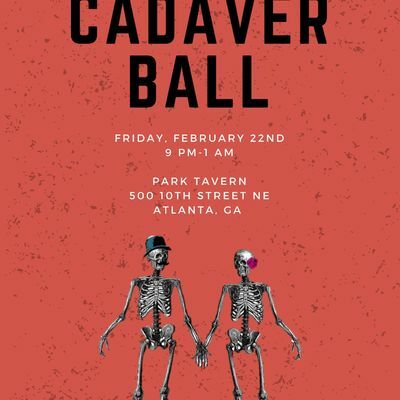 This event will again be held at Park Tavern in beautiful Piedmont Park. We’ve rented out the venue are stoked to dance the night away! Tickets are $25 for entry + 1 drink ticket. Dates, significant others, spouses and friends are welcome to purchase tickets. Note that drinks will be available at the cash bars but are $6 and up if you pay per drink at the venue. We’ll also have catering including hors d’overs and desserts! And if you purchase tickets by January 22nd, you'll be entered to win a $50 Amazon gift card! Tickets will be available through February 21. Make sure to purchase them before they sell out!